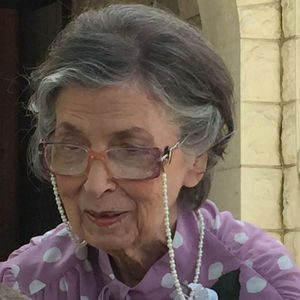 Ann Bivens Etnyre, 93, died at her home in San Antonio, Texas, on January 28th, 2019. As prearranged by the deceased, her body has been donated to The University of Texas Health Science Center. Upon the return of her ashes to the family, she will be interred with her husband, John, at Ft. Sam Houston National Cemetery. Born Ann Gardner Bivens on September 30, 1925, in Camden, Arkansas, to Felix Milton Bivens and Flora Lestine Bivens, nee Gardner, she was the second of six children. A 1943 graduate of Camden High School, Miss Bivens went on to earn a Bachelors degree in Mathematics in 1946 from Texas State College for Women in Denton, Texas. For the next 12 years, she was employed in the geophysical field as a computer and draftsman. Her work involved map making and interpretation of seismic records compiled from company surveys. Her work would take her into the field, often for weeks at a time, to work directly with the seismic crews, primarily in west Texas and Oklahoma. She was one of the first women to do this type of fieldwork in the Texas oil industry. In 1958, Miss Bivens married John Boyd Etnyre. The next 14 years took them to Algeria, France, Somalia, and Canada before returning to the U.S. with their three children. She was an avid reader and an enthusiastic amateur artist. Mrs. Etnyre is survived by two siblings, Felix Milton Bivens, Jr. and William Shephard Bivens; her children, Elizabeth, Jennifer and husband Craig Anderson, and John Jr. and wife Lori Lejeune; her grandson, Jacob Gardner Morris; and numerous nieces and nephews. She will be greatly missed. In lieu of flowers, please consider a memorial donation to St. Jude's Children's Hospital or your local animal welfare organization.